The largest-ever gathering of small business owners in the U.S. took place in Washington DC this past week – and CARROT was there. More than 2,200 business owners participated in the Goldman Sachs 10,000 Small Businesses Summit to network, share best practices, and carry their message about the importance of supporting small businesses to their legislators. CARROT Founder & CEO Michael Antaran, who completed the GS10kSB program in Detroit in 2014, took advantage of the opportunity to meet with Senator Gary Peters and Rep. Sander Levin of Michigan. “This was a great program, and it was a tremendous opportunity to share our story with other business owners and leaders in Washington,” Antaran said. U.S. 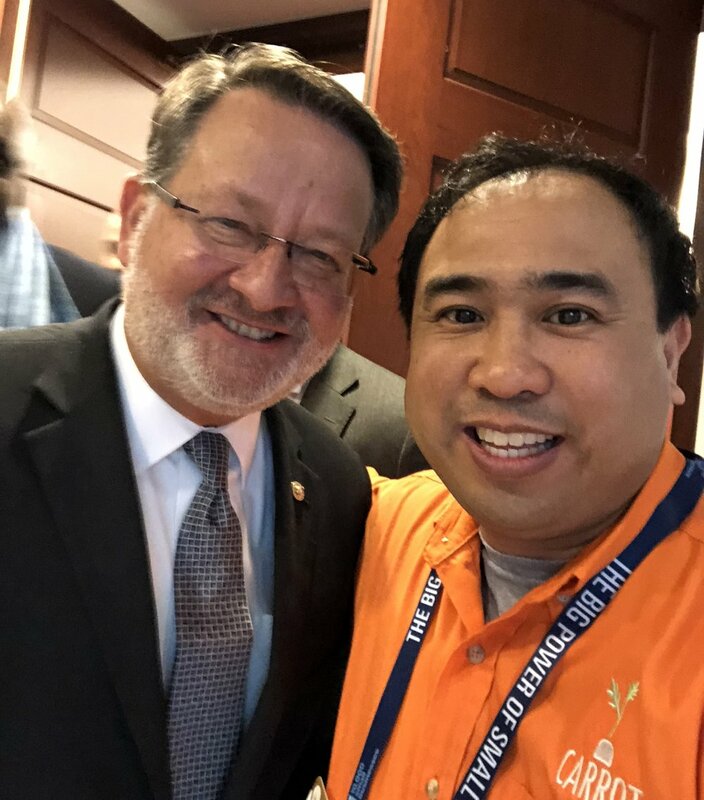 Senator Gary Peters (MI) with CARROT Founder & CEO Michael Antaran. CARROT's Michael Antaran meets with Congressman Sander Levin of Michigan. Older PostNeed a Great Community Walking Program? We've Got One!